The Electrochemical Society (ECS) seeks to fill the position of sensors technical editor for the Journal of The Electrochemical Society. 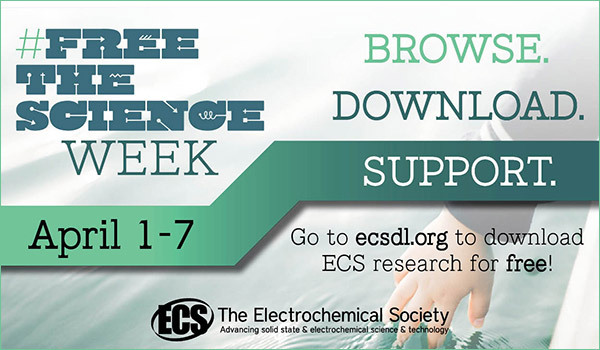 ECS has been long-heralded as the nonprofit home of the Journal of The Electrochemical Society (JES), its flagship journal. 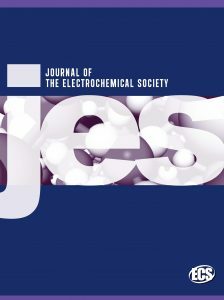 Published continuously from 1902 to the present, JES, the oldest peer-reviewed journal in its field, remains one of the most-highly cited journals in electrochemistry with a cited half-life of greater than 10 years. JES and the ECS Journal of Solid State Science and Technology (JSS) provide unparalleled opportunities to disseminate basic research and technology results in electrochemical and solid state science and technology. JES publishes a minimum of 10 regular and up to six focus issues each year and offers author choice open access. ECS’s job board keeps you up-to-date with the latest career opportunities in electrochemical and solid-state science. 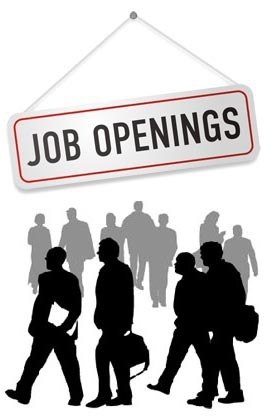 Check out the latest openings that have been added to the board. The researcher will be engaged in the development of new electrodeposition process for three dimensional packaging including TSV process; design copper deposition bath containing appropriate additives and fabricate copper filled deep vias on silicon wafer; use analytical techniques such as cyclic voltammetry, chronoamperometry, SEM, XRD, and so on. Presents of research at international conferences and publish in peer-reviewed journals are encouraged upon approval from collaborating companies and institutes. The Postdoctoral Research Associate will conduct research and development on titanium electrowinning from molten salts. Technical responsibilities will include high-temperature electrochemical reactor design and fabrication, experimental investigations of electrodeposition from molten salts, and some mathematical modeling studies. The Postdoctoral Research Associate will focus his/her work on research and development of new lithium-sulfur batteries. The work includes the development of both electrode and electrolyte materials and the integration of these materials into lithium-sulfur batteries. The Postdoctoral Research Associate will be responsible on designing and carrying out experiments, analyzing data, writing reports, and/or help mentoring junior researchers to conduct their research. Under general supervision, the postdoctoral research associate will be conducting research specifically in battery manufacturing R&D to lower cost, raise energy density, increase production yield, and address manufacturing bottlenecks. This incumbent will work in close collaboration with other researchers involved with ORNL’s applied energy storage program. This position resides in the Department of Energy (DOE) Battery Manufacturing Facility and the Manufacturing Systems Research Group at the Oak Ridge National Laboratory (ORNL). We are seeking an internationally respected researcher in the field of electrocatalysis, who is capable of further developing in particular the material and process engineering principles of electrolytic water splitting at the highest scientific level. It is envisaged that research activities will be complementary to and interlinked with work at Jülich‘s Institute of Energy and Climate Research (IEK) with its sub-institutes involved in electrochemical, process engineering, and materials science research, and with research work at the Erlangen cluster of excellence Engineering of Advanced Materials. Ten full professor or principal investigator (PI) and 20 associate professor positions are available at Institute of Energy of Soochow University. The Institute of Energy focuses on researches in areas related to science and technology of new energy. Essential duties and responsibilities include: development of lithium rechargeable cell technologies utilizing Sulfur based cathode materials, conduct basic research on multiple battery materials and electrochemical systems by utilizing various material and electrochemical characterization techniques, plan and execute research experiments in electrchemical call systems via material processing, study cell level component interactions, achieve mechanistic understanding and identify degradation mechanisms, and implement and create methods of diagnostic testing for battery characterization. The Ohio’s Wright Center for Photovoltaics Innovation and Commercialization at The University of Toledo, Ohio invites applications for a postdoctoral fellowship opportunity. The postdoctoral position is expected to conduct research in synthesis and characterization of oxide materials for the application of photoelectrochemical hydrogen production via water splitting. A postdoctoral position is available in the Chemistry Department at Temple University. The position resides within the confines of a newly funded Department of Energy – Energy Frontier Research Center. The focus of the Center is the rational design of layered semiconductor materials for use in energy applications, such as water splitting and carbon dioxide reduction. Xtalic Corporation, a dynamic, growing Boston-area company, develops commercial electrolytic processes that create new metal alloys based on nanotechnology developed at the Massachusetts Institute of Technology (MIT). We are seeking an energetic, results-oriented engineer to join our development team. Gore is a technology-driven global company built on entrepreneurial innovation, integrity, and teamwork. Our diverse portfolio includes everything from high-performance fabrics and implantable medical devices to industrial manufacturing components and aerospace electronics. Through our product leadership, we’ve been changing lives and changing industries for more than 50 years. Imprint Energy is seeking an exceptionally talented, innovative, and versatile Battery Scientist to join our technical team and “make it work!” This person will join a small but growing team with momentum behind them. The successful candidate will have the opportunity to shape the development of Imprint Energy’s novel battery technology from early prototypes through to application development and mass deployment. The successful candidate will have a strong background in electrochemistry and battery research and development. We are looking for the right candidate to fill our Director of Research position based out of our beautiful Vancouver, BC office. The position is permanent, full time and will skyrocket the right candidate’s career! Postdoctoral Fellow to conduct laboratory research on electrocatalysis of facet-controlled Pt-group metal nanocrystals, interpret and analyze obtained results, draft manuscripts reporting experimental results, assist supervising graduate and undergraduate researchers in the group. ECS’s job board keeps you up-to-date with the latest career opportunities in electrochemical and solid-state science. 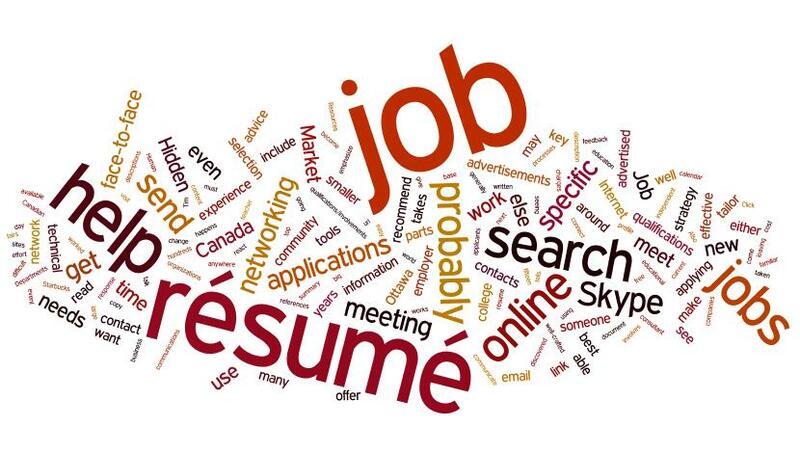 Positions are constantly updated and employers have the ability to post openings free of charge. The Ohio’s Wright Center for Photovoltaics Innovation and Commercialization at The University of Toledo, Ohio invites applications for a postdoctoral fellowship opportunity. The postdoctoral position is expected to conduct research in synthesis and characterization of oxide materials for the application of photoelectrochemical hydrogen production via water splitting. Candidates with strong background on solid state and/or wet chemical synthesis are highly preferred. The Postdoctoral position will involve conducting research in the synthesis and characterization of materials for electrochemical energy storage and conversion technologies. The Environmental Energy Technologies Division (EETD) at Lawrence Berkeley National Laboratory invites applications for a distinguished postdoctoral fellowship opportunity. The fellowship will allow an outstanding recent or upcoming Ph.D. recipient to engage in innovative research leading to new energy efficiency technologies or policies and reduction of adverse energy-related environmental impacts. The successful applicant will serve a one-year term appointment with the possibility of a one-year renewal.